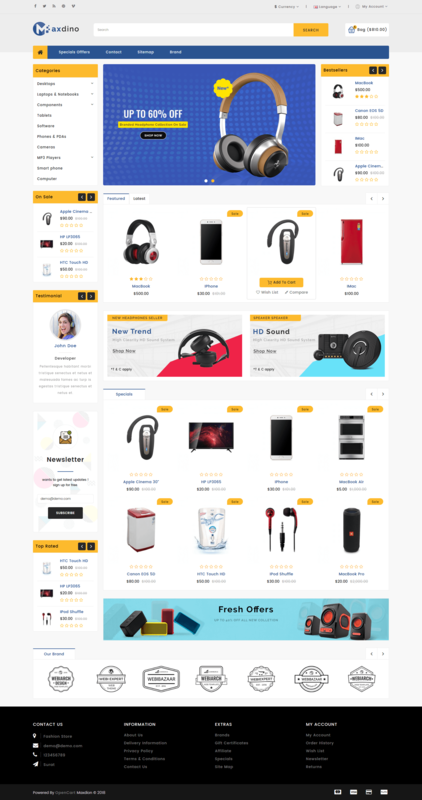 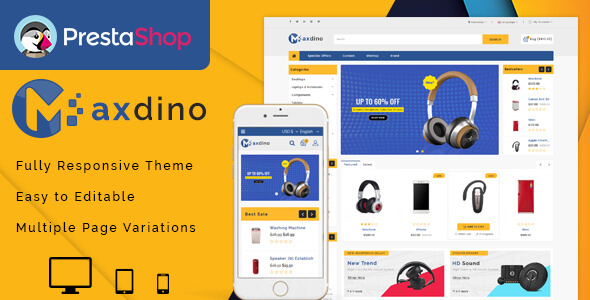 Maxdino Prestashop 1.7 theme it is a simple and clean layout with elegant design, very easy to install and to use. 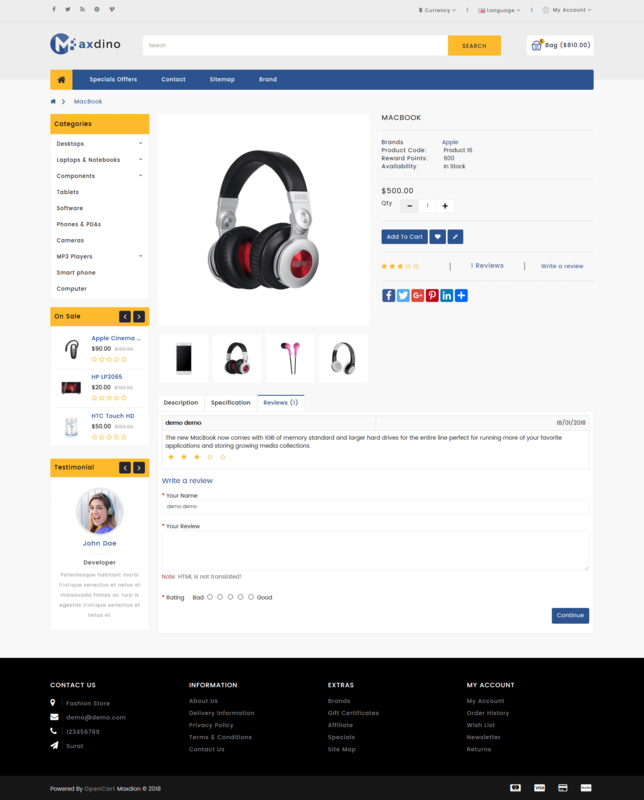 No HTML knowledge requries, easy to install and easy to use.It has been built with mobile users in mind. 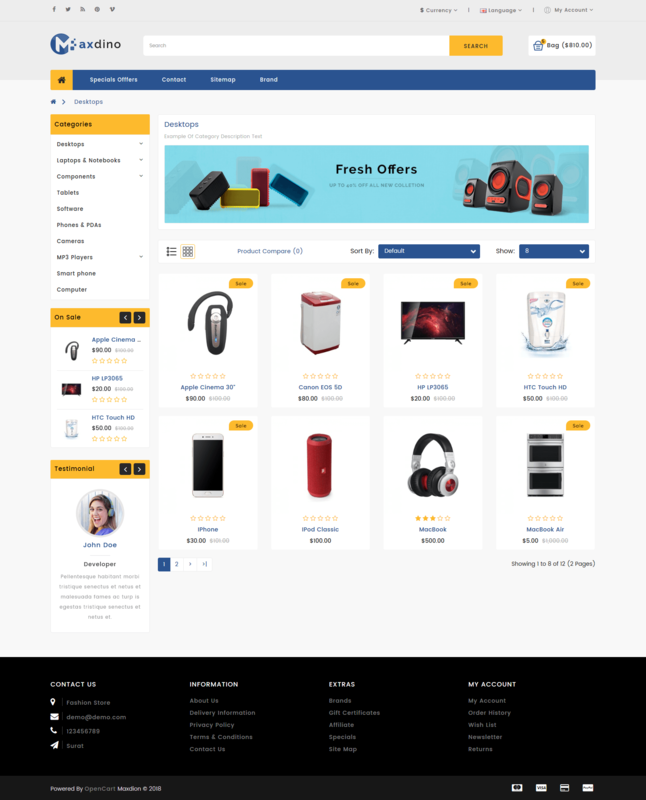 So it looks great on desktops, tablets and mobiles.Fashion is an awesome,robust and flexible theme with a design and all fearture of online category and fully customize,suitable for E-commerece website. 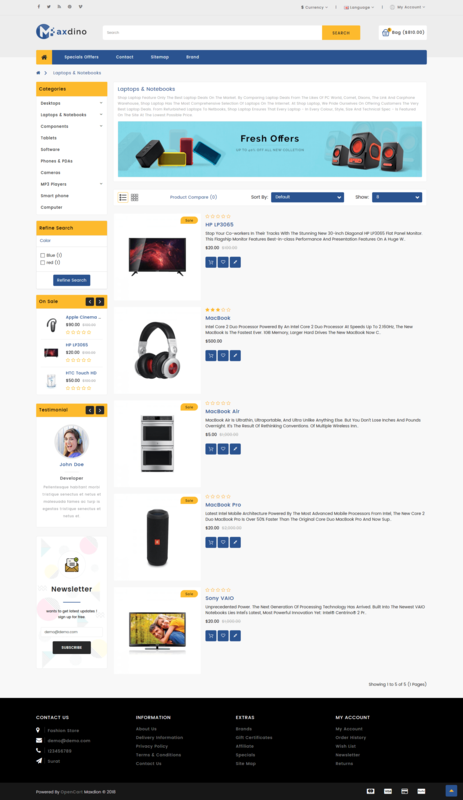 It is a dedicated to fashion,Jewellery,Cosmetic,Home appliances,Bag,Organic,Resturant,Watch,Fashion,Ceramic,Flower,Shoes,Power-Tool,Pet-Store.